While any movement is beneficial, what distinguishes yoga from other sports is its non-competitive spirit. Yoga can provide them with beneficial lifelong tools to help them cope with daily stresses, navigate smoothly during exams and deal gracefully with the increasing pressures placed upon them as they transition into adulthood. GroovyKids™ Yoga Teacher Training presented by Global instructor Greville Henwood is a 15-hour course that equips you to teach so much more than just kids yoga! Marking its 9th return to Dubai, Greville will empower you to look at the different ways to engage children, technical understanding of poses and how they can be sequenced together to create infinite classes for kids of all ages. We play games to harness kids energy and enthusiasm. You’ll learn the GroovyKids™ Yoga Flow [45-60 minute] complete range of motion yoga class perfect for kids of all ages and abilities including music, movement, breath awareness and meditation. Not only can meditation bring about immediate behavioral changes in children, but it can also teach them how to make difficult life decisions, feel connected to the world around them, reduce hyperactivity, short attention span, sudden impulsive behavior and daily stress from school exam, sports competition, family pressure. This 2 day weekend intensive training is open to school teachers, yoga teachers, yoga practitioners, fitness instructors, therapists and parents. Kids don’t respond to shy teachers! So we start day 1 by integrating and going through creative and intellectual games designed to bring us 'teachers' out of our shells and break the proverbial ice. Then we move onto who yoga is for, what the benefits are. Teaching kids yoga means you have to be on your toes, so we practice games and exercises that bring us fully present. We look at sequencing ideas and how we actually learn things, how we memorize them and why some things are easier than others to recall. We learn chants, songs, stories, yoga games and other things that all help make LEARNING & TEACHING a joyful experience. After all the theory has been presented and explained, we go through the GroovyKids™ Yoga Flow ourselves, it’s very helpful for the teachers to do the actual class as learning from the inside out is far more PRACTICAL! After looking at the various elements every successful Kids Yoga class must have, we invite kids to come and actually do a free Kids Yoga class led by Greville Henwood on the afternoon of day 2 from 2:45 - 3:45 pm. This is invaluable and the most fun part, because the teachers can immediately see for themselves theory in action. Once the kids have gone home, we break down the class and ask ourselves, did we accomplish what we set out to? And the answer is always YES! After the live kids demo session, we move onto the foundation of the relationship-centered teaching and go deeper into the specifics, nuts and bolts of class-time, guidelines of sequencing poses and school standards for physical education to see how yoga fits in. Specific breathing techniques will be practiced and a more in-depth look at how yoga has made an impact in our lives to help us understand simple ways that yoga philosophy is no different than any other, and how universal principles appear in yoga and how we can consciously apply these principles in our teaching. We will look closer at how to modify classes as the age groups from 3-5 years old and 6-12 years old change and learn how to create a GroovyKids Yoga class accordingly. One might think that little ones would be too energetic and squirmy to lay quietly for four or five minutes, and sometimes that is true. Most of the time, they are craving some quiet, relaxing time. 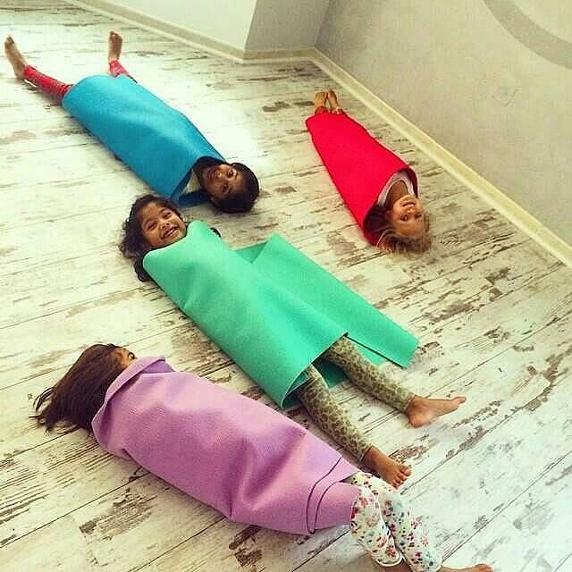 Add a yogi-burrito [see below]by allowing them to wrap themselves up in their mat or towel and they are begging for it as soon as class starts! 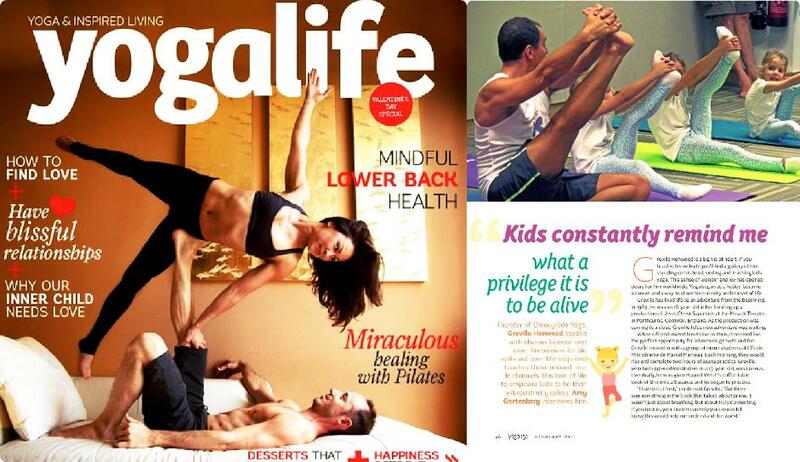 Yogalife interview Greville on what ignited him to create GroovyKids Yoga TTC. Just like Adults, Kids Benefit from Getting their 'omm' on! GroovyKids™ Yoga, Inc. was founded in 2005 and has since been taught over 60 times in 10 different countries across 3 continents, teaching hundreds of teachers and thousands of kids from all walks of life.Greville Henwood began teaching GroovyKids ™Yoga at Yoga Works over 10 years ago. He developed the GroovyKids™ Yoga Teacher Training program based on his joy of clear and present communication without judgment or competition. Trained with Yoga Angels Level 1 and 2, Indigo Kids Yoga Level 1 and having completing a course in Child Development at Santa Monica College, Greville also graduated the celebrated Yoga Works Teacher Training and Advanced Teacher Training programs with Maty Ezraty and Lisa Walford. At Maty’s insistence he began teaching immediately at Yoga Works, where he continues to teach today. Greville has led both the 200 hour Teacher Training at Yoga Works and has mentored teachers in the Professional Program, also known as the 300 Hour program. 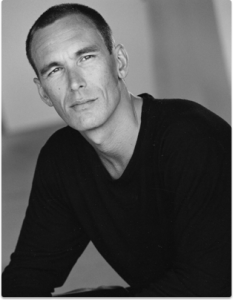 He is Senior Faculty member at the American Yoga School and a Presenter at the South Bay Yoga Conference. In 2014 Greville released The GroovyKids™ Yoga Show, a 43 minute Kids Yoga class for all levels, ages 4-10. With music and animation, it brings a new dimension to the possibility of interaction with yoga and fitness with families. Greville teaches kids yoga at yoga studios, fitness centers, private homes, parties, Yoga Conferences and fundraisers; and has presented Kids Yoga classes amongst Ancient Art at the World famous Norton Simon Museum in Pasadena, California. GroovyKids™ Yoga classes can currently be found in the USA, Canada, Cyprus, Norway, Greece, Switzerland, United Arab Emirates, Qatar, Bahrain, Japan and Saudi Arabia and Denmark. Includes your comprehensive manual and certificate of completion. All Yoga Alliance Registered teachers can add 15hr as CEC upon completion. Need a place to stay during the training within 12 minute walking distance? Please let us know upon submitting interest and we will get you sorted! PLEASE NOTE THAT ALL TEACHER TRAINING FEES ONCE PAID WILL NOT BE REFUNDED OR ADJUSTABLE UNDER ANY CIRCUMSTANCES. WE UNDERSTAND THAT EMERGENCIES AND OTHER LIFE SITUATIONS ARISE. WE RECOMMEND THAT YOU CAREFULLY REVIEW YOUR SCHEDULE AND UPCOMING OBLIGATIONS TO ENSURE THAT YOU CAN COMMIT FULLY TO THE COURSE. IF UNFORESEEN CIRCUMSTANCES OCCUR AND THE COURSE IS CANCELLED, THE FULL REGISTRATION FEE WILL BE REIMBURSED, BUT WE WILL NOT BE RESPONSIBLE FOR ANY OTHER CHARGES INCURRED BY THE PARTICIPANT, INCLUDING HOTEL & AIRLINE FEES.